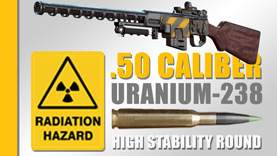 Adds new custom receiver for the DKS-501 rifle and .50 Caliber Uranium tipped round to go with it. 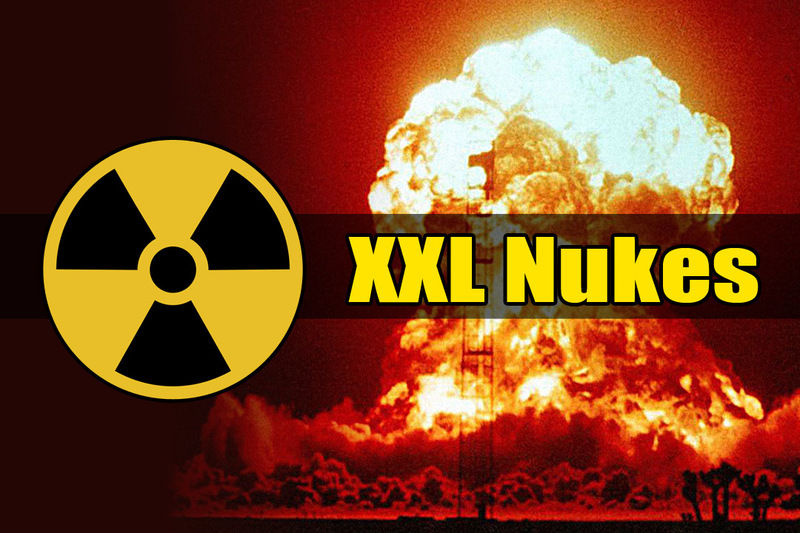 XXL DKS-501 is a mod that adds a new craftable .50 Uranium-238 receiver for the DKS-501 rifle + all new .50 Caliber Uranium tipped round. 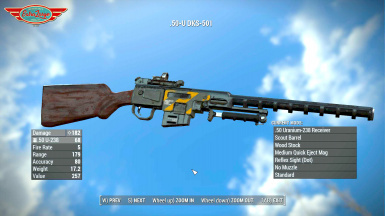 The DKS-501 is an awesome looking weapon. Yet, it always felt like it could use some hotter rounds... 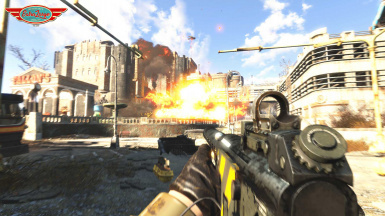 Enter the .50 U-238. 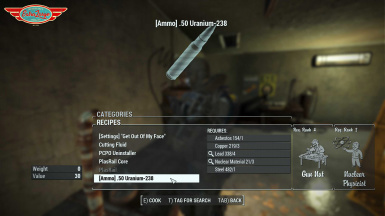 .50 Uranium-238 Receiver: craftable, use Weapon's Workbench to modify your DKS-501 rifle. 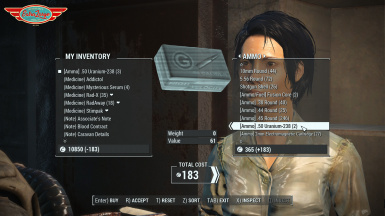 .50 U-238 round: craftable, use Chem Workbench; purchasable, some vendors will have it on sale after you reach lvl 35. 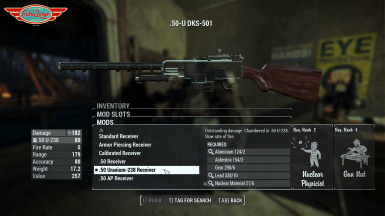 DKS-501 Sniper Rifle mod by Lt_Commander is required. New ammo type does not work with the suppressor attachment.